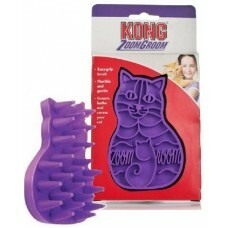 PetHangout is so excited to introduce the Kong Kity Zoom Groom to your furious feline. Tiny, soft nibs will massage their skin and grab onto lose fur at the same time. You cat will love you for buying this – we promise. Flexible rubber nibs give a gentle massage to your cat – especially great around tender areas like the face, ears, and paws. 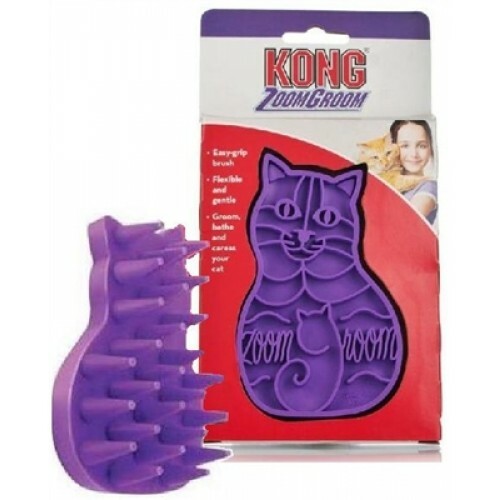 Your cat will purr endlessly when they see you coming with zoom groom! PetHangout has other grooming items to make your life better. Check out our full collection now.